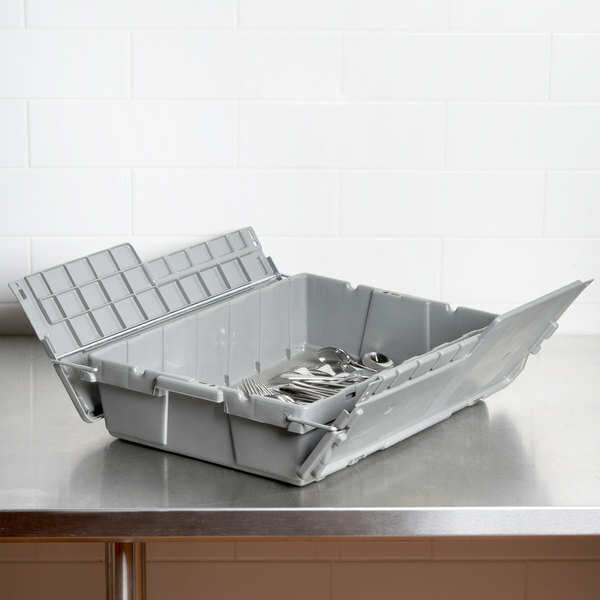 Chafers are all about elegant presentation and easy transportation - preserve your polished chafer with this Vollrath 52649 Tote 'N Store gray buffetware box! 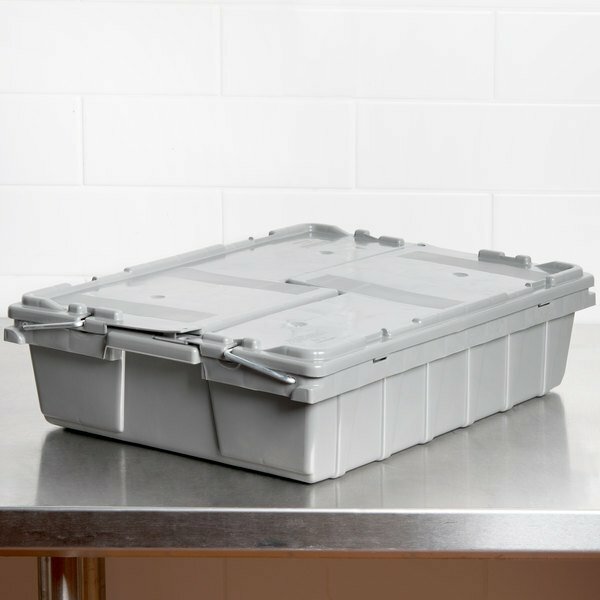 This shallow box is an excellent way to store and transport your buffetware and table service accessories, in one central location, without the concern of damaging or losing items. 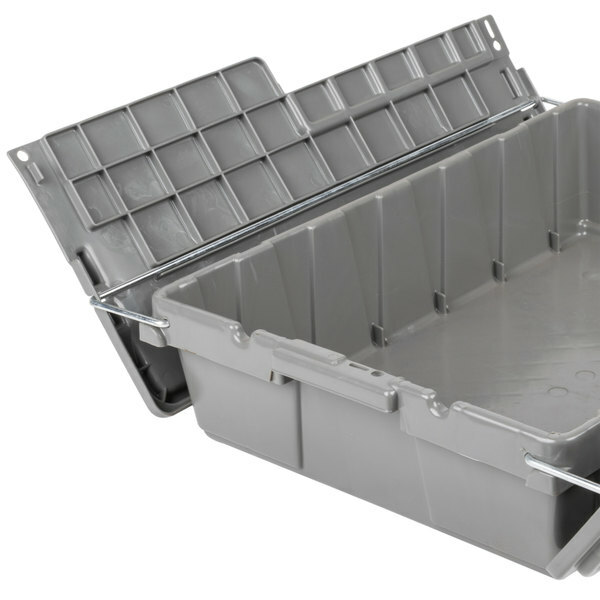 Each buffetware box is made of heavy-duty, impact resistant plastic, guarding against potential scratches and dents - maximizing your chafer protection. 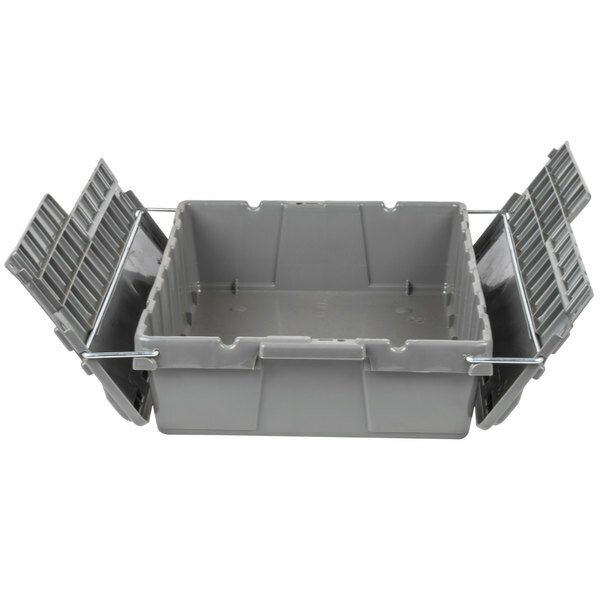 The flat folding, interlocking lid design ensures the box remains tightly sealed and stable for applied pressure on top the tote. 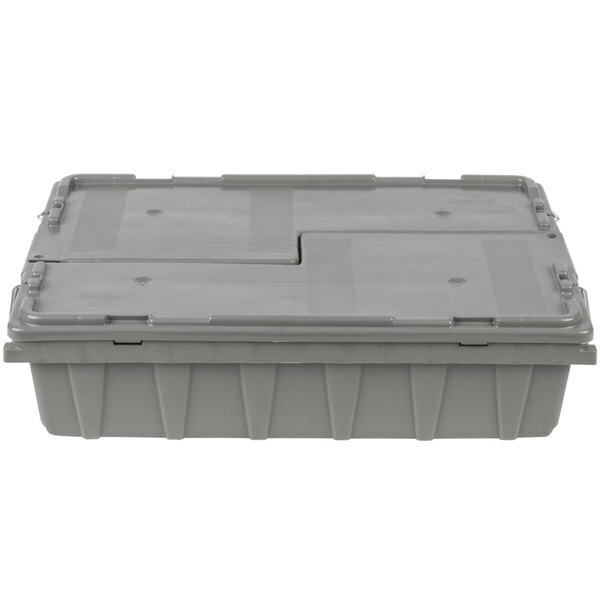 These stackable and nestable boxes offer several sturdy ledges on top the lid, providing barriers for stacked totes and promising a secure, stacked fit. 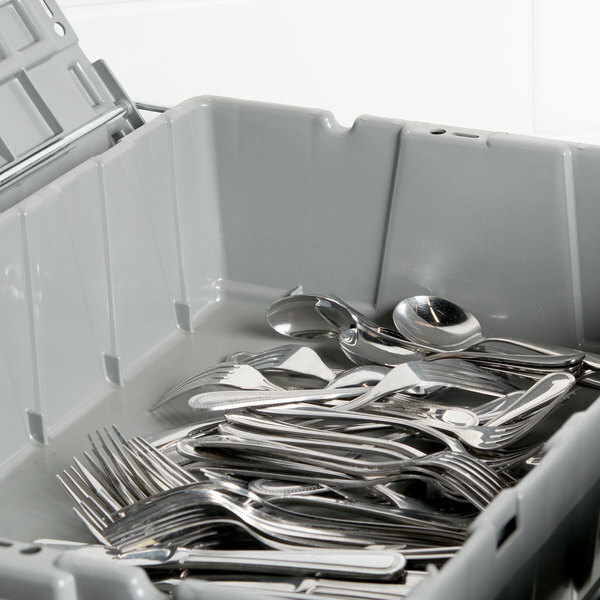 A stack of these buffetware boxes will not shift in your catering business's van on the way to an event! The sturdy, permanently hinged lid confirms it will never be removed and accidentally misplaced. Plus it promotes easy opening and closing. When ready to remove the chafer, fold back the lid and lift the chafer straight up - the large opening will make loading and unloading simple! Easily lift and handle the closed box with handles, integrated into the tote's design. 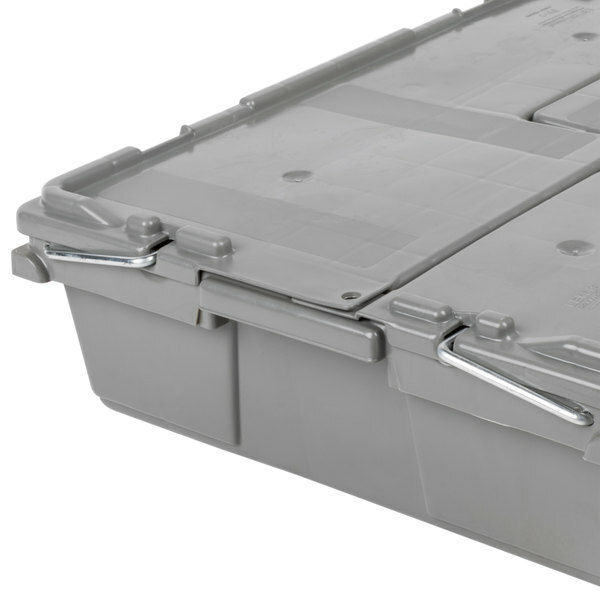 Small, unnoticeable holes allow the totes to be padlocked for maximum chafer storage security. These are great storage boxes!! They work well paired with chafing unit boxes for on the go catering!! Good box for smallwares and service tools! !